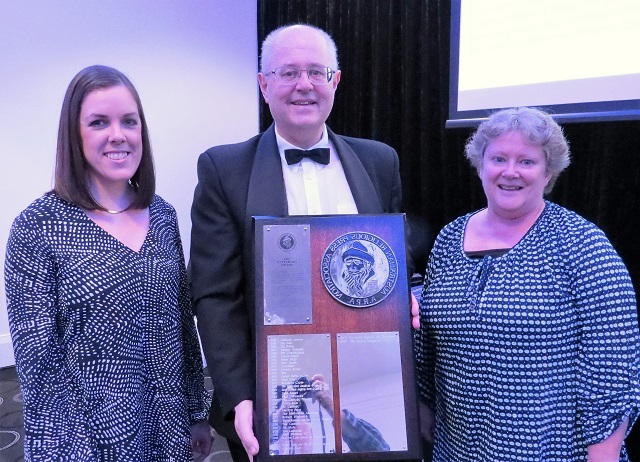 Photo - Linda Grigg chief editor NZ Baptist receives the 2018 Gutenberg Award from ARPA President Peter Bentley with young NZ Baptist journalist Rebecca McLeay. The Salvation Army’s magazine ‘Others’ won The Publication of the Year. This is the new ‘Salvos’ in-house magazine – it gives the reader a real sense of what it means to be a ‘Salvo’. The awards dinner presented numerous category awards from the best publication to the best new writer and many categories in-between. Another highlight was the annual 2018 Ramon Williams Youth Award, this year won by Josh Low from the Perth Record and e-Record. Friday’s opening plenary was Dr John Harrison titled ‘Journalism is not a crime …not yet anyway’ – It was certainly topical - the journalists imprisoned in Myanmar this week and some journalists at the South Pacific Forum banned and Dr Harrison cited many others along with the many legal dangers. The question and answer session opened up many other local situations. Dr Harrison teaches media law and ethics at the University of Queensland and a regular media commentator on ABC local radio. Way back in the 1980’s he was the founding editor of the Uniting Church’s “Journey” magazine. This was followed by a panel session on “Freedom of Religion and Public Faith” – the panellists were Sophia Sinclair (NZ ARPA), Ann Gilroy (Tui Motu InterIslands, NZ), Mardi Lumsden (UnitingWorld), Dr Harrison and Peter Bentley (ACC Catalyst). This discussion saw each panellist provide a 5 min presentation followed by ARPA members asking questions which created further discussion. Each speaker gave illustrations along with both philosophical and practical outcomes of what it might mean to express a ‘public faith’. First up was Dr Alex Deagon a lecturer at the Faculty of Law at Queensland University of Technology on the “Virtues of Public Religion” and this session livened up the day as he illustrated over and over again the differences between the idea of the separation of Church and State on the one hand, and that of a public religion, both of which he gave historic and first hand examples. Professor Mark Pearson Professor of Journalism and Social media addressed the plethora of the concept of being ‘mindful’ using some Buddhist philosophies which he and others have found helpful in working through dilemmas. He created the term “Mindful Journalism” which has gained international acclaim. He led the group into one such scenario where two hours before going to print with a major denominational story about fiscal abnormalities, the two central figures in the case withdraw their testimony (under legal threat and in effect financial disaster). The question put - Do you as the religious editor go to print regardless without the witnesses now willing to testify - or – what are options? The discussion was ‘active’. 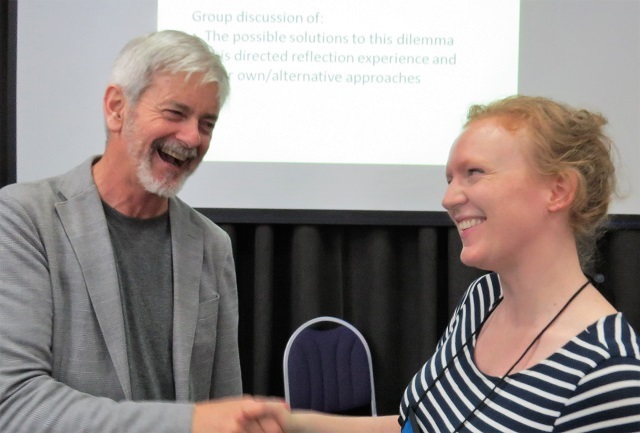 The final session in this dual workshop program was led by Penny Mulvey (Bible Society) and Mardi Lumsden on the joys and challenges in religious media. The discussions were surprisingly robust and the ARPA members ‘in confidence’ told their stories of challenge and sometimes despair. 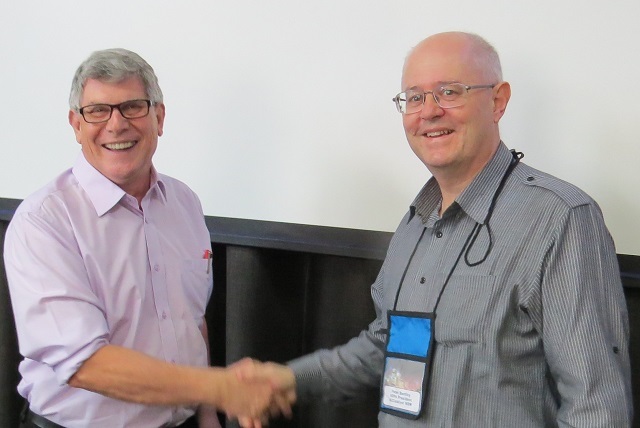 The 2018 ARPA conference proved to be another beauty, the main sponsor Neumann & Turnour, Lawyers were recognised; and camaraderie was central to the embrace in fellowship throughout the conference. Next year, the ARPA conference will be held in Christchurch NZ 6-8 September. 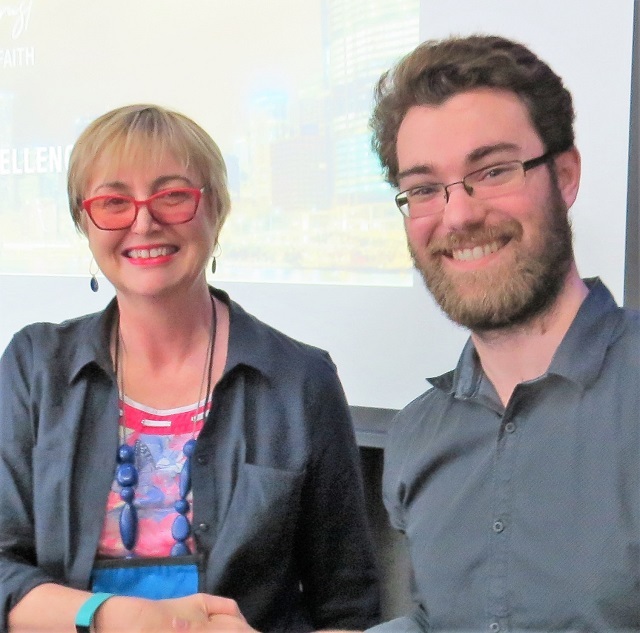 The 2011 ARPA conference was in session in Hobart with many New Zealanders attending, when the Christchurch earthquake struck – it was truly personal. 2019 will include a tour of the earthquake sites with personal accounts. 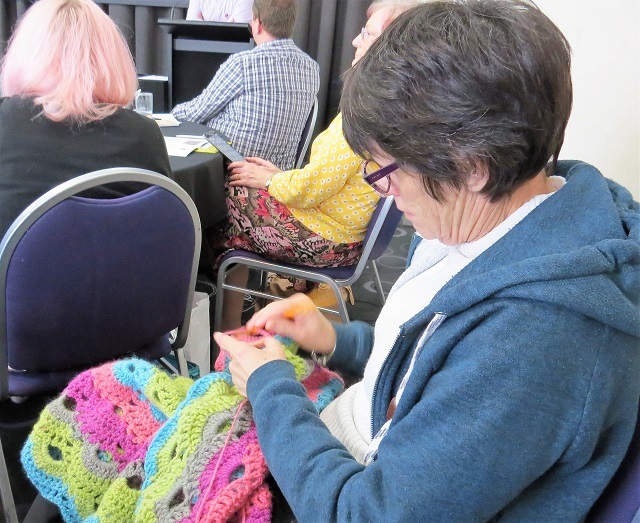 Photo - Delma Tronson listened intently to the ARPA sessions while crocheting.